One of the main sources of atmospheric pollution is automobiles. One of the most pointless auto-related activities that produce greenhouse gases – which almost all climate scientists agree are destructively warming the planet – is idling. And where do cars idle most? So some cities are trying to reduce emissions from autos idling at stoplights. Some use a system that allows buses to trigger lights to avoid red-light idling. In Calgary, for example, such a system saves 2,000 gallons of gas per bus every year – a reduction of 50,000 pounds of carbon dioxide emissions. 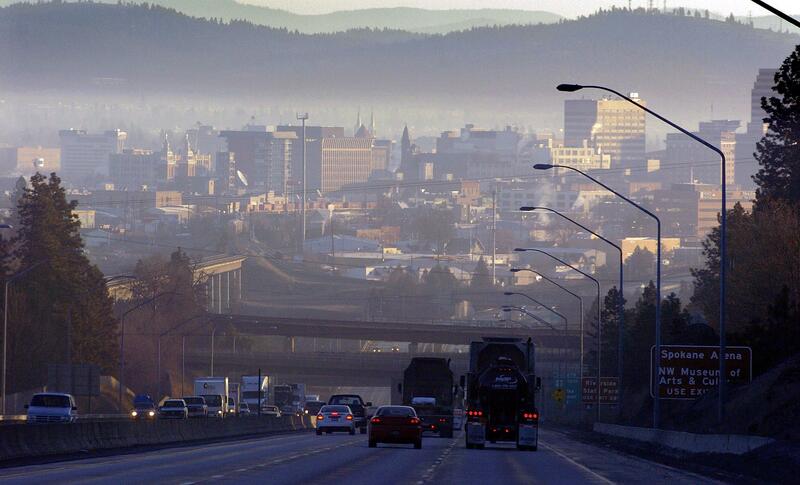 Portland has implemented a traffic light system that adjusts to traffic flows at 135 intersections, resulting in savings of 1.8 million gallons of gas for motorists each year and a reduction of more than 15,000 tons of carbon dioxide emissions. I mention this because of the recent resurgence of the argument that the City Council is straying out of its lane by taking on issues other than potholes and crime. This is a perennial, fill-in-the-blank complaint, perfectly suited for political novices and regular council grouches alike: The city should focus on potholes, not X. Sometimes X equals coal trains. Sometimes X equals gay marriage or the handling of circus elephants. Most recently, for some people, X equals climate change. But in that case, and the city’s recent adoption of a sustainability plan that codifies an acceptance of climate science, the equation is fundamentally wrong, in two major ways. First: As an organization that uses a lot of energy and emits pollution, the city is squarely within its purview to identify and adopt ways of saving gas, using less energy and reducing carbon emissions. Second, and perhaps more relevant to the City Council’s recent vote: In a time of ascendant science rejection and factual faithlessness, the city’s elected leaders are doing the responsible thing by naming the problem clearly and without deference to nonbelievers. It is important to do this not because there should be no debate, but because the arguments against climate change are almost entirely impermeable to debate, and almost entirely outside the realm of the actual science. The purpose of denial arguments is not to identify truth, because they are based on the assumption that they have already identified the truth – and that traditional, institutional, shared sources of knowledge can’t be trusted. So it’s important to identify and reduce both sources of noxious gas: carbon dioxide and scientific rejection. It is this second piece of the new sustainability plan that gave some people heartburn when the City Council voted it into the city code last month. It “acknowledges the fact of anthropogenic climate change,” as well as reaffirming city goals for reducing emissions. The plan, which has been setting sustainability goals for the city since it was adopted in 2009, will now have added weight as a “binding framework” for ongoing city efforts. Still, it remains primarily a system of goals, and does not call for immediate, costly changes on the ground. It was approved 6-1 by the council – with Mike Fagan voting no. Mayor David Condon says he plans to let the proposal become law without signing it. Spokane already does a lot to promote sustainable energy use, from conserving water to reducing miles driven by city vehicles. All of this is laudable. Some argue it makes the recent vote unnecessary, and there is concern in the administration that putting the plan into the code could require new costs – as well as the sense that making a point of accepting climate science is inviting a political argument on an issue where the city is already making a lot of practical progress. Beyond the legal questions of jurisdiction, this tension between a vision of a City Council that tends only to the nuts and bolts of city life and one that opens up discussions on the larger political questions of the day has been more or less constant with this council, which has waded into a series of issues that some consider far afield from city business. But climate change is not far afield. And when the City Council voted to call it by its right name, it was operating in the right lane. Published: Aug. 4, 2017, 5 a.m.